The sad news of a legend's passing always leaves us hurting. Some, though, depending on how they affected your life or love of wrestling, just simply take your breath. It was that way for me with Gene Anderson, Wahoo McDaniel, Johnny Weaver, and Dusty Rhodes. 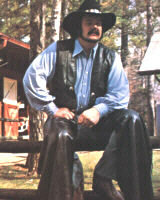 And now it is Blackjack Mulligan. The west Texas wind howls this cold night mourning the passing of one of wrestling's truly unique characters. Bob Windham was the first person in the business that reached out to the Mid-Atlantic Gateway in our early years. Before the days of social media, he had simply stumbled onto our little website while surfing the internet. He wrote David Chappell and I a very short email that contained one of the nicest compliments we've ever gotten from anyone, especially someone in the business we so revered: "You guys get it." The email address was from "bj windham", and we didn't believe it was him at first. We thought maybe it was someone pulling our leg. But it was indeed him. And we were star struck. 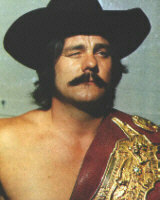 After all, Blackjack Mulligan was one of the cornerstones of the era in wrestling we loved the most. He was one of the main players in Mid-Atlantic Wrestling in our youth. I think he particularly liked the way David Chappell wrote the historical narratives for the Mid-Atlantic Wrestling Almanac. He liked that we presented it just as it played out on TV and in the arenas. He saw it as a record of the work that was done then, a chronicle of their performances and their creativity. And he liked that we always treated the business with respect and stayed in the positive. "There is enough out there dwelling on the negative," he once wrote me. "You guys are positive ions." We've worn that as a badge of honor ever since. In June of 2005, George South took me with him to visit Blackjack at his home in Florida, and we had a wonderful time. Blackjack's sweet wife Julia, who really made the whole thing happen for us, brought us Subway sandwiches for lunch. When I was 14 years old and watching him fight Paul Jones for the U.S. championship, would I have ever thought I'd be sitting in Blackjack's Mulligan's den eating Subway sandwiches? To this day I still smile when I think about that afternoon. Little memories are often the sweetest to savor. David told Blackjack about his old audio tapes of Mid-Atlantic Wrestling from the 70s and he asked us for copies. 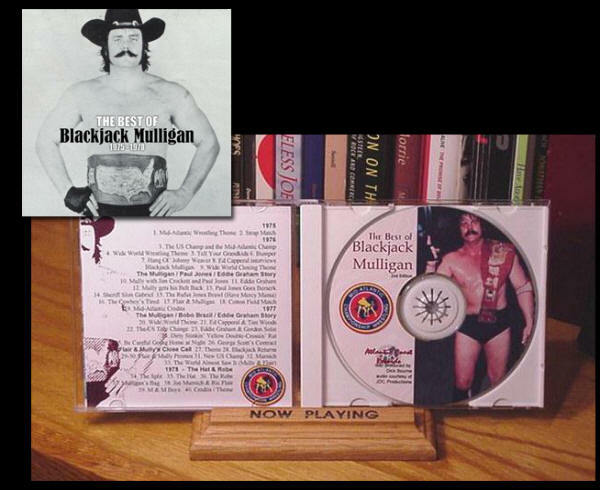 I put together a special CD we called "The Best of Blackjack Mulligan" and sent it to him. I asked him how he came up with all those characters he used to mention in his promos and he told me that most were based on real people. That led to a feature we later did for his website when he was selling his book, something called "The Eagle Pass Biographies" where he gave a humorous twist to the background on all those characters. It is now a special part of the Gateway. He had a softer side. He used to always ask me to email him and tell him when it snowed where I lived. Living in Florida, he missed the snow. It seemed to me he just liked hearing about it. It was the neatest thing. He loved getting pictures from David and his wife Diana of their cocker-spaniel named Zack. He frequently would email David out of the blue and ask "How's Zack?" But he was also outspoken, opinionated, and occasionally would get mad at me over the silliest things. But then he would do something like call me on Christmas Eve to wish me Merry Christmas as he did in 2005 and again in 2011. I'll never forget that either. Blackjack's impact on the Mid-Atlantic territory was enormous. After the Wilmington plane crash in October of 1975 that put the two top heels in the Mid-Atlantic territory on the shelf (Johnny Valentine permanently, Ric Flair temporarily), booker George Scott convinced Mulligan to leave his current spot on top of the WWWF as tag team champion (with Blackjack Lanza) to come to the Mid-Atlantic area and take the top singles heel spot, replacing Johnny Valentine. It was here that he had memorable feuds with Paul Jones, Bobo Brazil, Tim Woods, Dino Bravo, Rufus R. Jones, and others. But it was in 1978 that had his most memorable feud in our area when he turned babyface and feuded with Ric Flair. 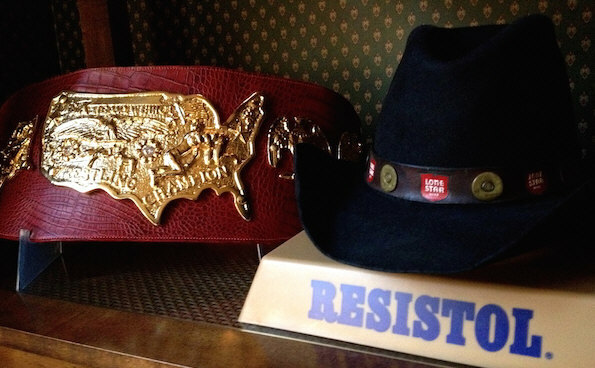 It was a result of one of the hottest, most successful angles ever in the territory, affectionately remembered by fans today as "the Hat and Robe." He would be the first to tell you he wasn't the best technical or "scientific" wrestler. He was a brawler. He was a fighter, and he loved a good fight. He was perhaps best known for his colorful promos and interviews that were often hilarious, sometimes deadly serious, and always entertaining. Blackjack made you believe. His impact on the Mid-Atlantic territory was enormous, and some of the most remembered storylines of the 1970s involved him in one way or another. His impact on the wrestling business, directly or indirectly, is still felt to this day. His son became NWA world champion in the 1990s. His grandsons are superstars in the WWE today. It is a remarkable legacy. 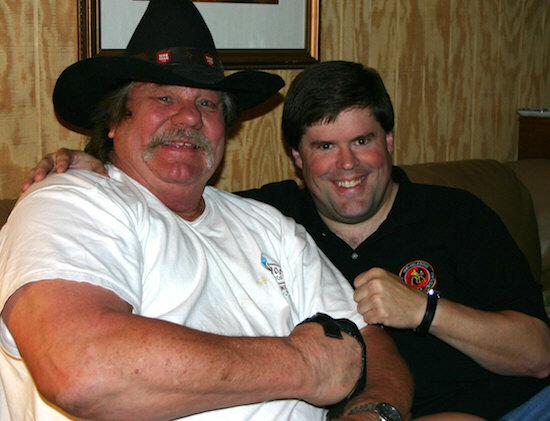 So with a tear in my eye, I say farewell to the great Blackjack Mulligan, the Pride of Eagle Pass, the big cowboy from the oil patches and cotton fields of west Texas. And farewell to the man Bob Windham, a U.S. Marine, Christian, father, and husband, and a man I was fortunate enough to call my friend. Visit BLACKJACK'S BBQ on the Mid-Atlantic Gateway, featuring The Eagle Pass Chronicles, The Ace O' Clubs Jukebox (great audio clips), the Legend of the Hat and the Robe, and much more.